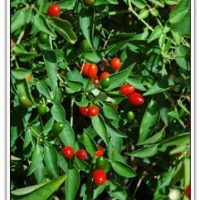 This native perennial pepper makes a beautiful addition to the garden. 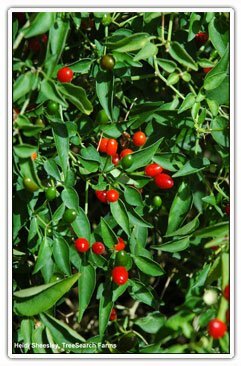 It is a 2′-3′ mounding shrub that is covered with tiny white flowers & bright red, bird’s eye peppers much of the year. Does well in containers. Birds love the fruits! Sun, light shade, & good drainage.